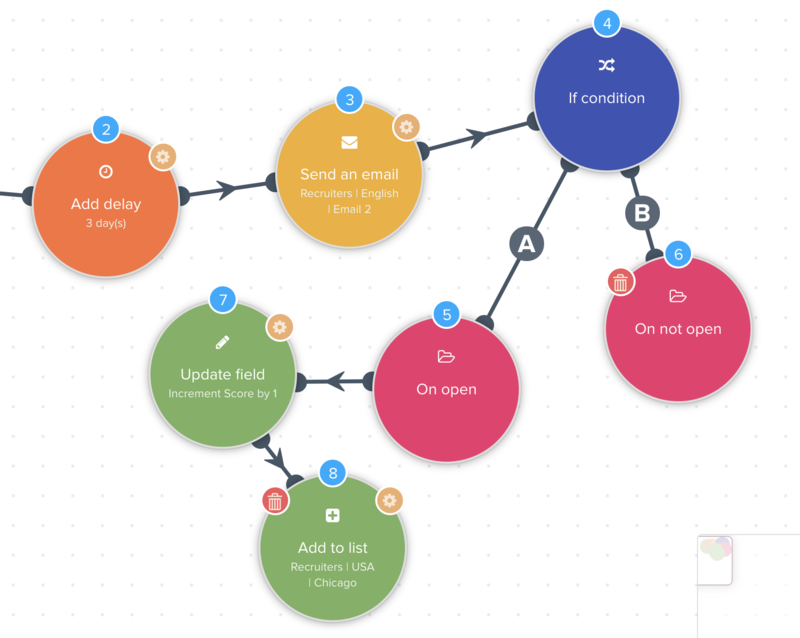 Create scenarios to automate your emails and send drip campaigns like a boss! Use our editor to create your online campaigns. 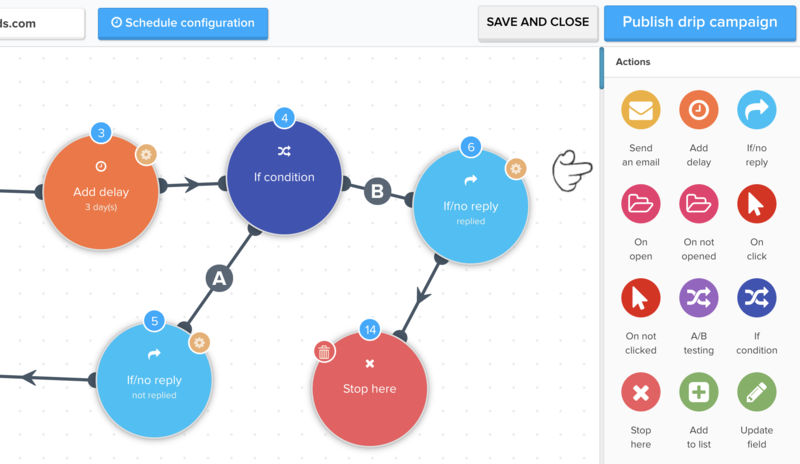 Create simple scenario or complex campaigns with our editor. Drag and drop and create multiple follow ups. Add a condition like if opened or not, score your contacts based on their actions.